Camping with the family, being closer to nature, sharing memories with the children under the tent, simply: that’s the camping spirit ! 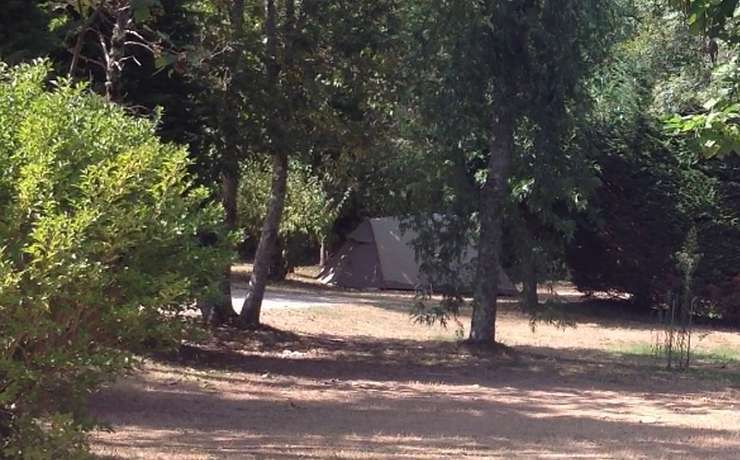 Le Rêve is a space where traditional campers feel at ease. 90% of our pitches are bare vs 10% for rentals ! We choose to focus on traditional camping instead of unending rows of mobile homes. You won’t find that here. 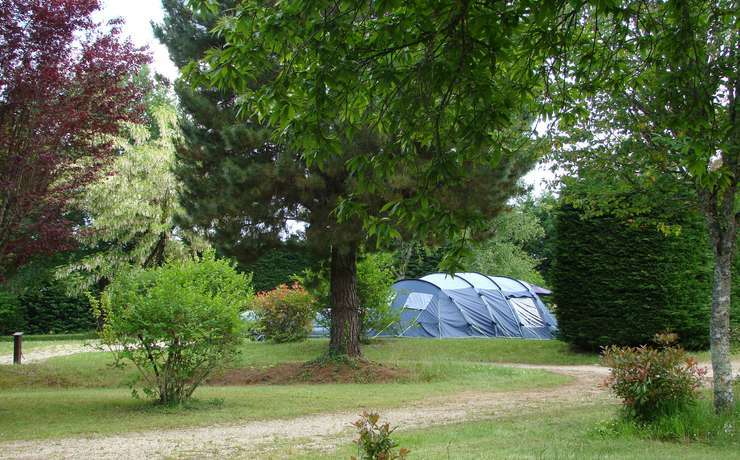 What you’ll find is a large choice of pitches for you and those with caravans or camper vans. When we asked our customers what they thought of Le Rêve, what they’d like to change, the answer was unanimous: Don’t change the grounds, that’s what we love most! We love to hear that, and we want to keep it that way. More than preserving the grounds, we want to showcase them so you can enjoy them. 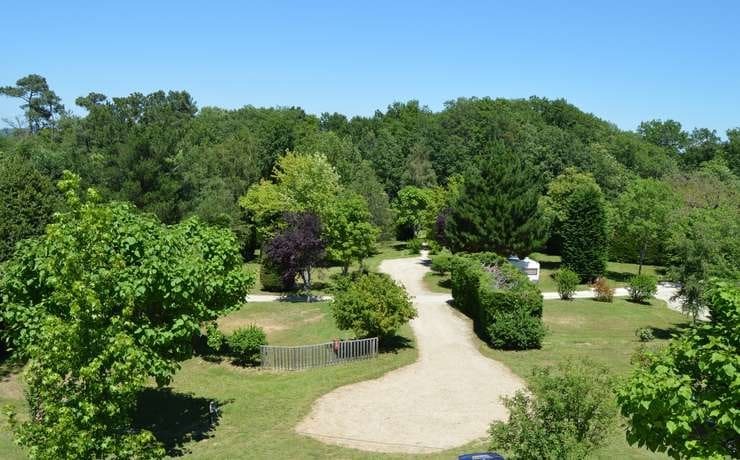 The 8 ha area is great for walks and learn about trees and the animals who dwell there. 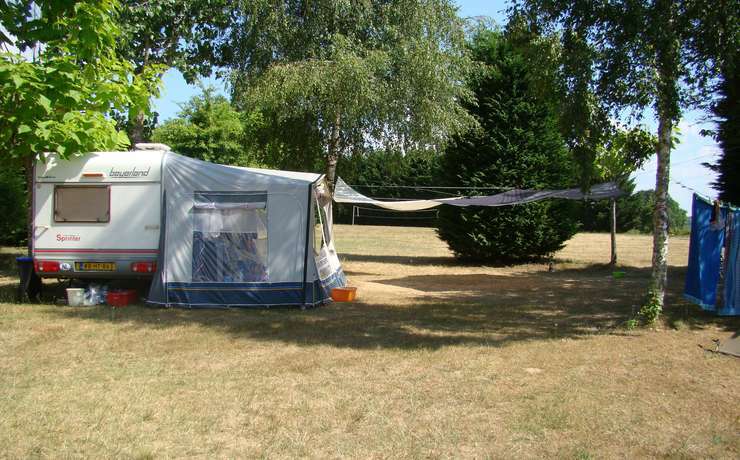 For your comfort, the pitches are level, with available electricity, 6A and more. The pitches are close to a water tap and less than a 2 minute walk from the bathrooms, even with small feet! While you stroll, pick some fresh thyme or rosemary to flavor a dish, and if you need a side of veggies, why not come to our organic garden. Introduce the kids to vegetable farming with our self-serve organic garden.